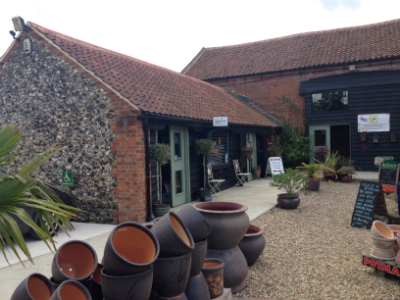 Louisa Kiddell opened her shop in July this year when a unit became available at Hellesdon Barns. 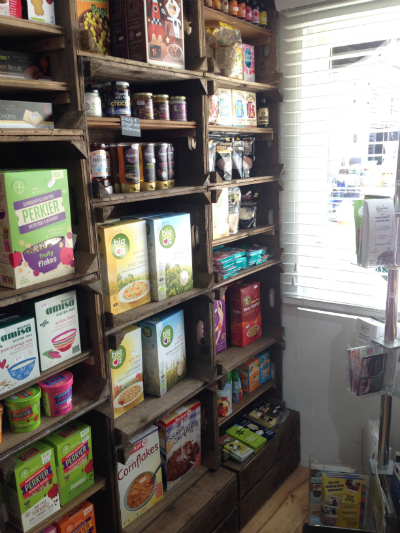 The one stop shop is compact but crammed full of every imaginable gluten free product, both local, small brands and big name companies on the shelves. Its an Aladdin’s cave of treasures. You could be completely over whelmed. Far superior to the one small section we usually find in a supermarket. 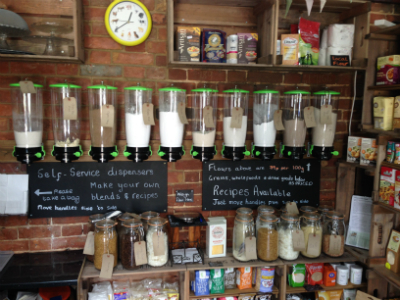 Here you can eat everything, in moderation obviously! As you walk in you are greeted by Louisa who’s warm friendly personality just makes the shopping experience even more enjoyable. 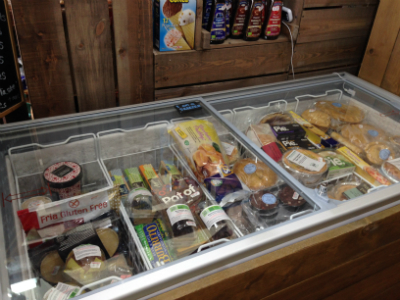 We had to stop chatting after a while just so I could focus on the huge selection of both fresh, chilled , frozen and boxed products . It was a great opportunity to stock up on my gluten free products and bulk buy gluten free bread and bagels to put in the freezer for the family. 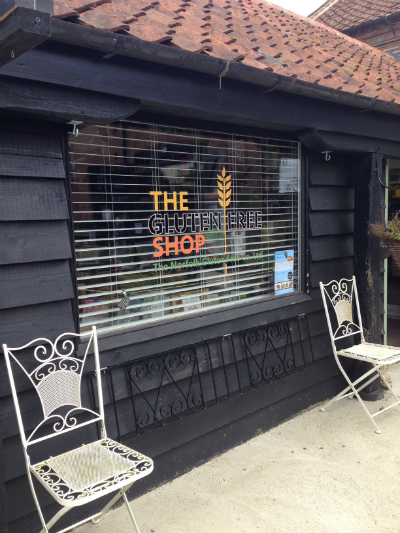 There is a brightly coloured black board as you enter and the local village shop feel runs through the entire shop with wooden crates displaying products. You really are spoilt for choice. 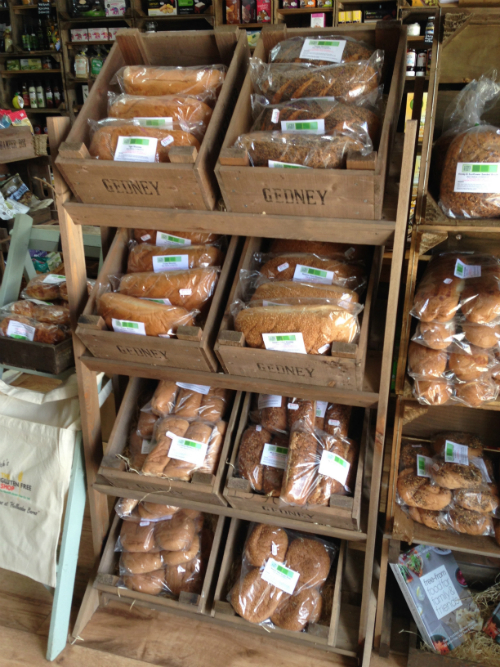 Fresh bakery bread, bagels and rolls comes from Wheat free bakery in Scotland and tastes as good as regular bread. 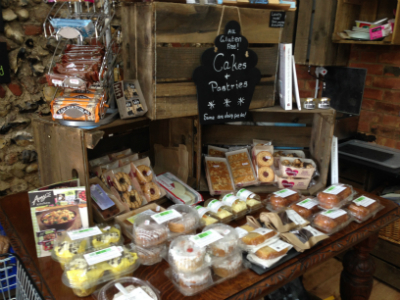 Freshly made cakes, doughnuts, tarts etc are on display and very tempting. 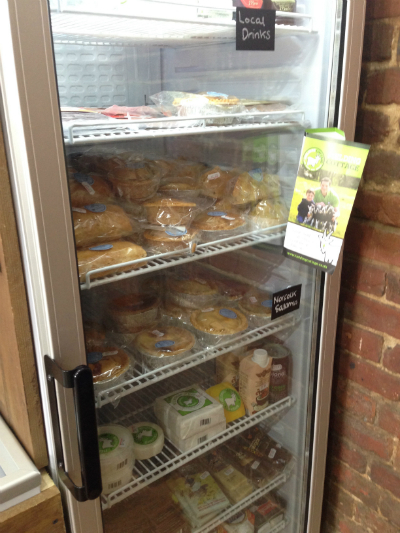 The chiller is full of gluten free pies and sausage rolls. 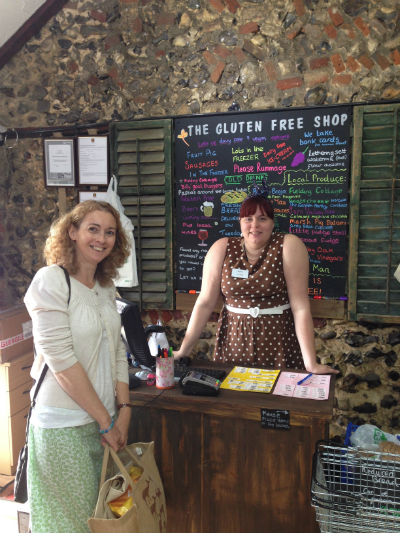 The gluten free shop is open Tuesday to Saturday 10am to 5.30pm and Sunday 11am to 3pm . 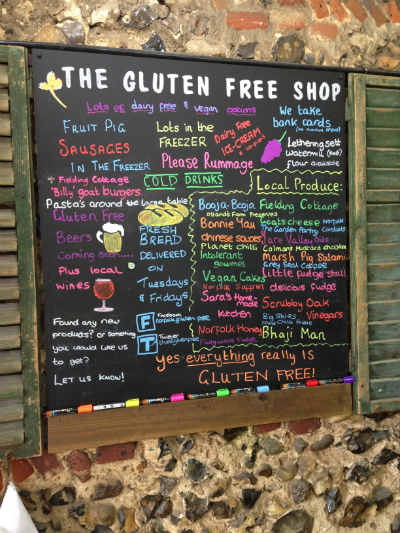 The gluten free shop is closed on Mondays. Its well worth doing a big shop and freezing some. The fresh bread, bagels etc freeze very well. 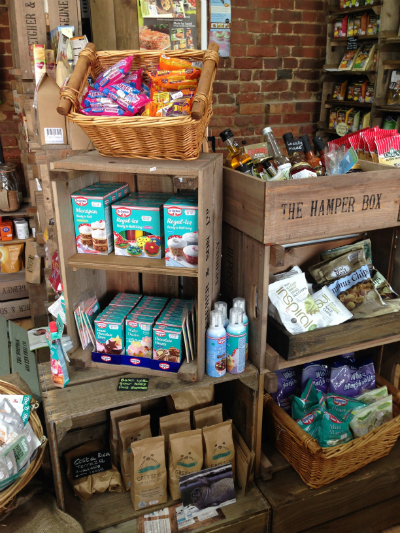 So if you find yourself in Norfolk, take a drive to Norwich and Hellesdon Barns and stock up on all your gluten free products, lets support this new venture!